Ever since I started blogging four years ago (has it really been that long? 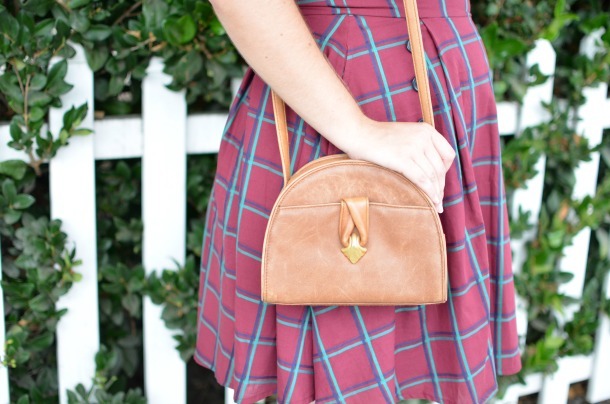 ), I've been lucky enough to work with eShakti. They sent me my very first item for a product review back in the day, and since then, I've gotten some of my best dresses from their site. Naturally, I was beyond excited when the opportunity to work with eShakti came up again, and I think I may have chosen the best piece yet. 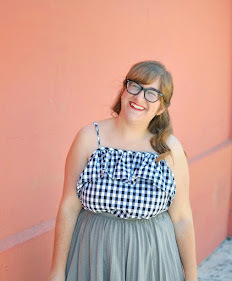 As I'm sure you're all aware by now, eShakti offers a beautiful range of clothing, all customizable by size and style. Being able to input custom measurements is one thing, but the chance to change that one detail you can't stop thinking about and get your ideal piece as a result? It's the best. 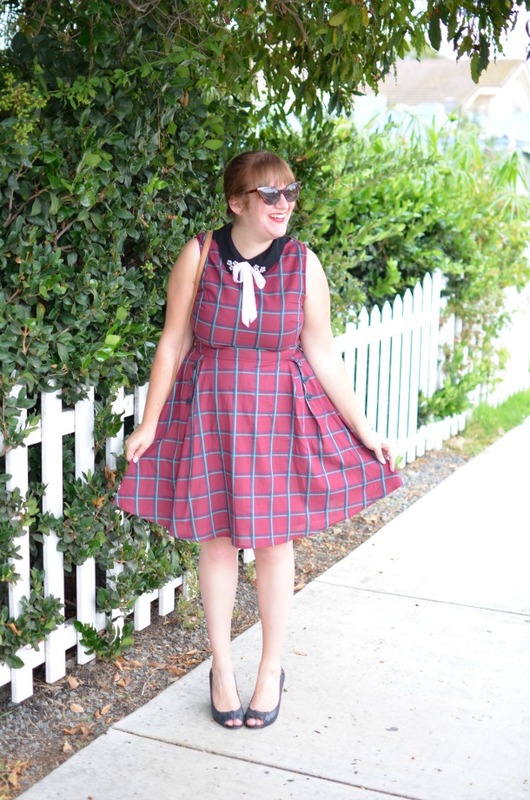 I immediately fell in love with the Windowpane Check Buttoned A-Line dress because it seemed perfect for fall. However, as someone who lives in a place that's warm essentially all year, I find it hard to justify owning too many pieces with longer sleeves. I end up gravitating more toward sleeveless pieces that can work well under cardigans when the weather does drop below 70 degrees. 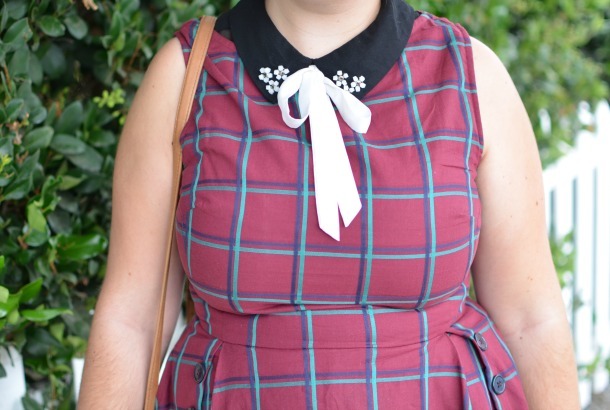 And so, I stuck with this perfect fall color and pattern, but I removed the sleeves and chose a boat neckline so that I could easily wear collars underneath it - which is exactly what I did right when I received it. This dress could not be any more perfect, but how it could it not? It's as if I designed it myself. I know this all sounds so hokey and too much like a paid advertisement, but eShakti in no way told me what to write, and I really do mean what I'm saying. I'm pretty pumped about this dress.